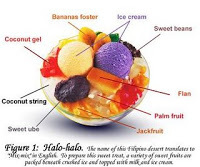 This post is composed of two visits to Kumare but I won’t be separating them as I forgot what I ordered for each visit. 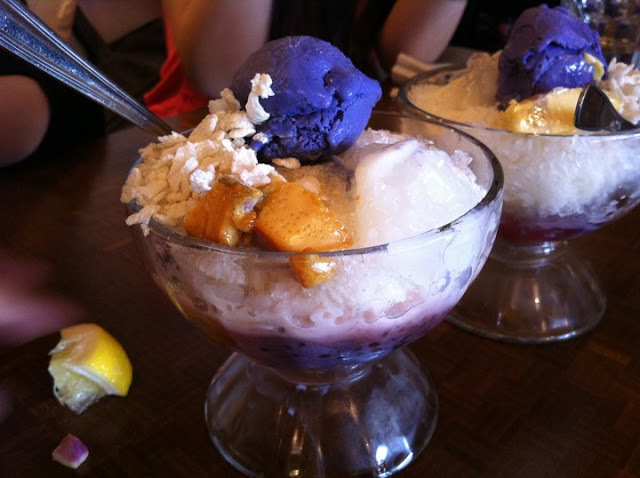 😛 Kumare is a Filipino restaurant located on Park Road in Richmond. This is the Sizzling Pork Sisig ($8.00) and it is minced pork (ears, innards, everything) on a sizzling plate topped with a raw egg. When you first get it, you have to mix the egg into the pork and let it cook. The aroma of this dish was fantastic! You can smell this from a mile away. The pork was a bit too salty but it didn’t deter me from eating most of it (gahh.. into my thighs they go!). 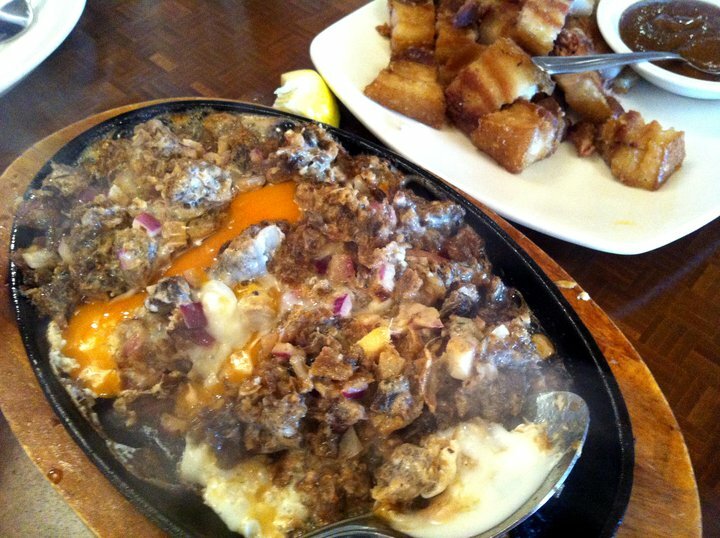 The pork dish next to the Pork Sisig is called Lechon Kawali ($8.00) which is deep fried pork belly. It came with this awesome Filipino sauce that apparently goes well with any type of meat. 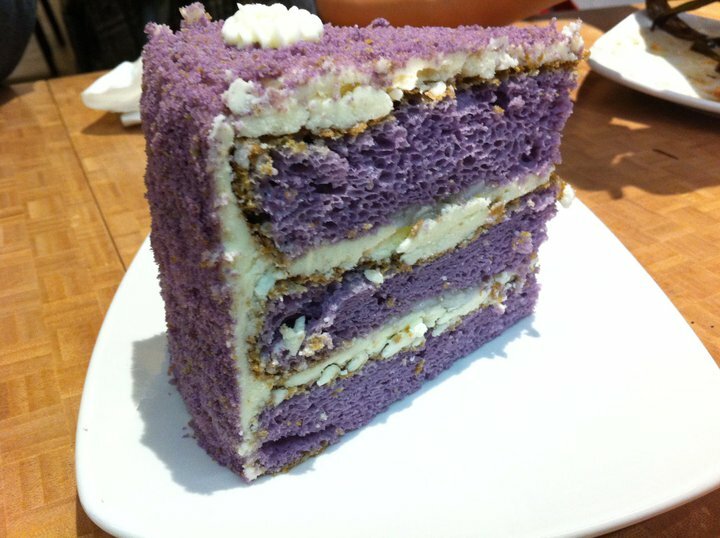 This dish was very heavy and layered with fat, but boy was it good. 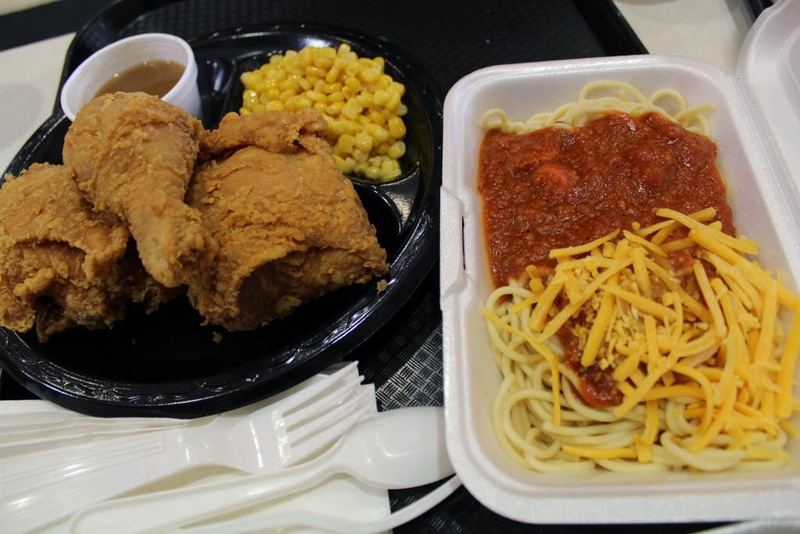 It is so artery clogging that you will probably stop after eating a few pieces. 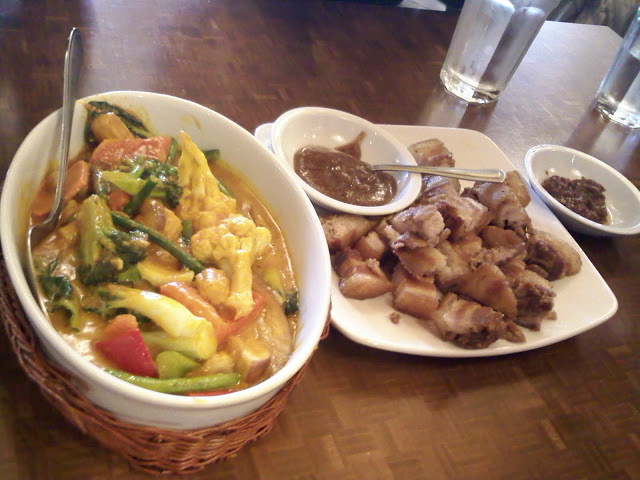 The dish next to the Lechon Kawali is Vegetable Karekare ($8.50). It is a dish composed of assorted veggies in a peanut stew. It was quite good but it is also another pretty heavy dish. I find that many Filipino dishes are very heavy in flavour and sauces, which is quite different from Chinese dishes where many things are steamed and cooked in it’s natural juices. Next was the BBQ Chicken skewer ($3.75). 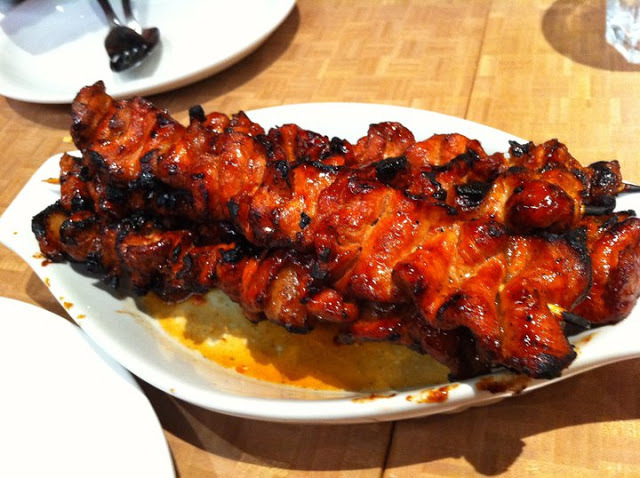 It is one of their most popular item on the menu and one skewer is definitely enough for two people. 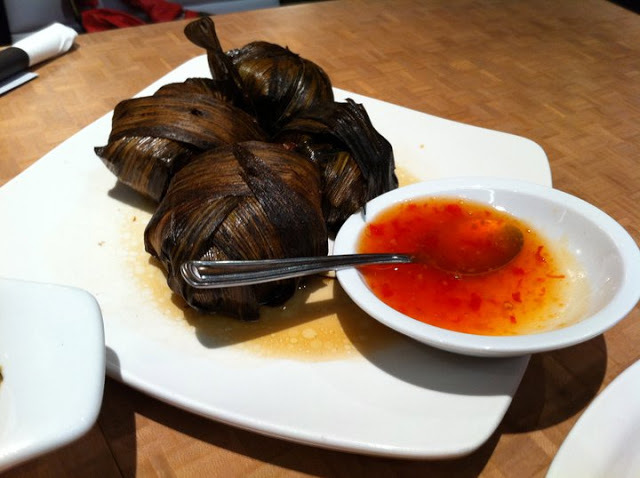 It was charred on the edges and has a very fragrant barbecue taste. Mmm… Chicken Pandan ($8.00).. *drool*. This dish consisted of four chunks of dark chicken meat which were marinated in coconut milk, wrapped in pandan leaves and then deep fried. This was delicious because the chicken was very tender and succulent. This is called Laing ($8.00) which are taro leaves cooked in spicy coconut milk. This vegetable dish is again so heavy yet sooo good. I have never had taro leaves before and I was pleasantly surprised by how tasty it was when combined with the coconut milk. 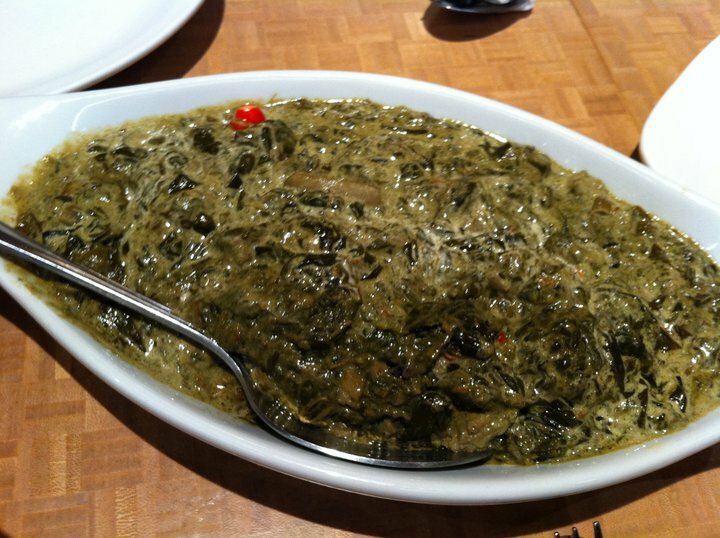 It has similar texture to spinach when cooked. I also tried the Java Rice (sml- $2.50) and the Garlic Rice (sml- $2.00) but forgot to take pictures of them. Both of them were very tasty and I’d get it over white rice any day. This. It looks way less appetizing than the first picture right? Regardless, the Halo Halo was very good with great flavour coming from the Ube ice cream and the different beans. 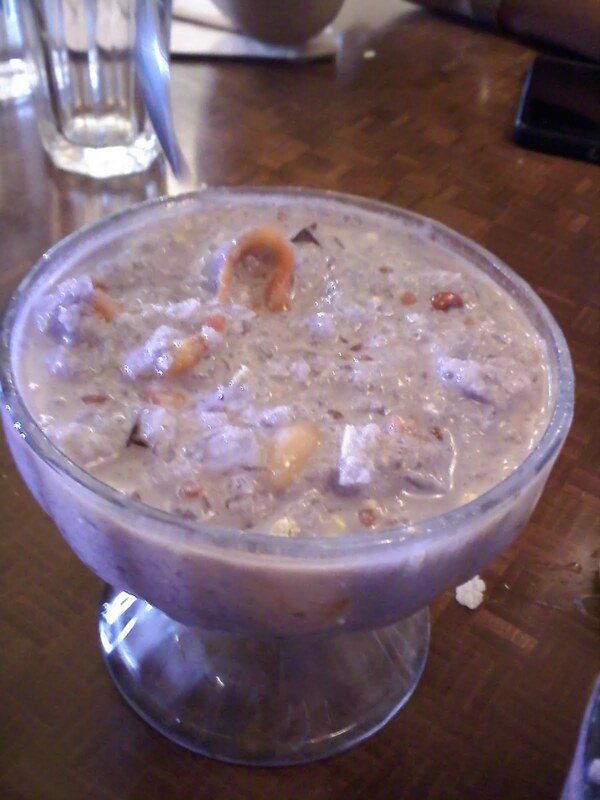 This is a good refreshing dessert on a hot summer day. Overall, the food is pretty good here and I would definitely come back again. However, their service is pretty bad because servers will ignore you while you try to wave at them. OMG! I got to try the chicken pandan and laing when I visit again!! !